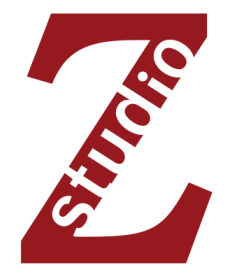 Studio Z is on the second floor of the Northwestern Building, at 275 East Fourth Street, Saint Paul, MN. Look for the neon Z in the window! 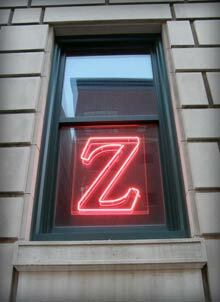 The entrance to Studio Z is on 4th Street, through the front doors of the Northwestern Building. The elevators are straight ahead, and Studio Z is located on the second floor, directly to the left of the elevators. From the East: Head west on I-94 into downtown St. Paul and take the 6th Street exit. When the ramp splits, go to the left, following the signs for 6th Street. At the stoplight turn left onto Wall Street. The Northwestern Building is on the corner of 4th and Wall streets, across from the Farmers' Market. From the West: Head east on I-94 into downtown St. Paul and take the 7th Street exit (exit 242C). At the end of the exit ramp, go straight for three blocks (you'll now be on Wall Street). The Northwestern Building is on the corner of 4th and Wall streets, across from the Farmers' Market. From the South: Head north on I-35E into downtown St. Paul, and then merge onto I-94 East in downtown St. Paul. Take the 7th Street exit. At the end of the exit ramp, go straight for three blocks (you'll now be on Wall Street). The Northwestern Building is on the corner of 4th and Wall streets, across from the Farmers' Market. From the North: Head south on I-35E into downtown St. Paul and take the Wacouta Street exit. Go straight on Wacouta Street to 4th Street and turn left. The Northwestern Building is on the corner of 4th and Wall streets, across from the Farmers' Market. Public Transportation: Bus routes 21A, 63 or 70 will stop at the Farmer's Market near Broadway and East 4th Street. Walk on East 4th Street past the Farmers' Market to 275 E. 4th St. (the next block). The Metro Green Line stops at the Union Depot Station on East 4th Street and Wacouta. Continue one block on 4th Street to 275 E. 4th St. The Northwestern Building is on the corner of 4th and Wall streets, across from the Farmers' Market. Parking near Studio Z is available at parking meters and local parking lots. Parking meters are available and are free after 4:30 p.m. on weekdays and all day Sunday ($1.50/hour M-S from 8:30 a.m. to 4:30 p.m.). There are several nearby parking lots. Click here for more details on location and pricing. Parking in the Art Lot at 240 E. 4th St. (next to Lowertown Wine and Spirits) is $5 and the lots off of Prince Street are $2. Parking in the Lowertown Farmers' Market lot across the street is only available to the public when indicated at the entrance. Parking is in high demand during Saint Paul Saints baseball games. The Union Depot lot off of Kellogg Avenue is $5 and most likely to have space available during games. Check the schedule to see when the Saints are playing at CHS Field, or keep this handy printable schedule for quick reference.